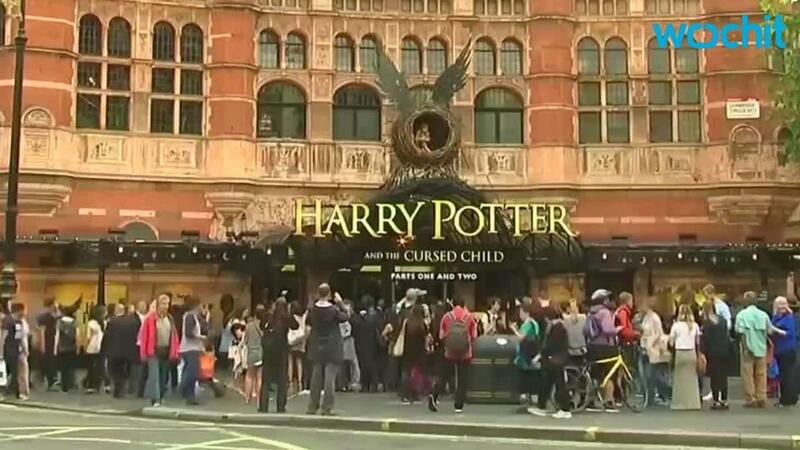 LONDON — Thousands of people will be queueing up to watch Harry Potter and the Cursed Child — the official eighth story in the saga — when the play opens in London's Palace Theatre on July 31 — but Daniel Radcliffe won't be among them. During a recent appearance on The Late Show with Stephen Colbert, the Harry Potter film actor explained why he might give the show a miss — at least for the time being. "I want to see the show," said Radcliffe. "I genuinely am intrigued and I've heard it's fantastic... I just feel like sitting in an audience of what for the most part — for the near future — will be very enthusiastic Harry Potter fans, might be... not a relaxing way to see a show, I guess. So not for the time being." Radcliffe went on to say that he thinks Jamie Parker — who'll be playing an older version of Harry in Cursed Child — is a wonderful actor. "I'm very, very happy to see him playing me," Radcliffe said. "And maybe a lot of the questions can shift to him now — he can do all the Harry press!" Watch the clip here (skip to 4.45 for the bit about Cursed Child).